Completed this year in the Matsudai area lies Toronoki House. Building on the beauty of the 100 over year old farm house with “Form &amp; Function” in mind, the farm house was transformed into an accommodation facility in April 2018. The concept is “Life with Tanada (Rice Terrace)” This place will serve as the “Communal Hub” where people who appreciate the beauty of the rice terraces can gather for a myriad of activities. The mastermind of this transformation was Karl Bengs, a German architect, who paid utmost attention down to the smallest detail. The owner, Mr. Akuzawa loves rice terraces, and after travelling the world and seeing various rice terraces, was so mesmerized by this particular one in Tokamachi that he decided to relocate here. 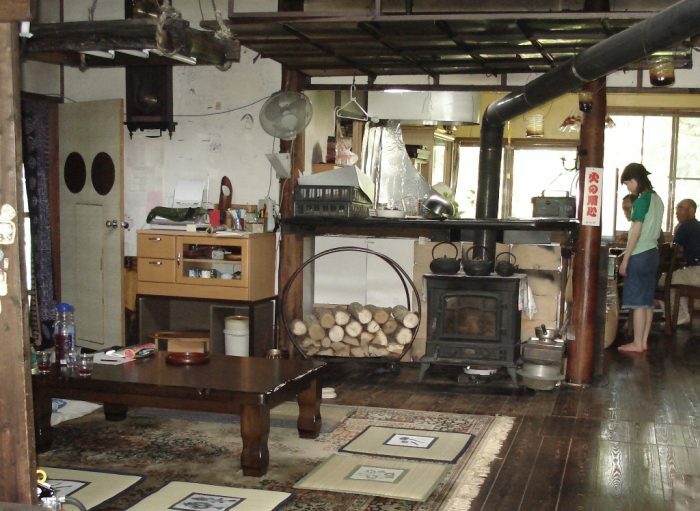 Now, he spends his weekends here in Toronoki House hosting and planning activities for the locals and visitors. All while still working in Tokyo during the weekdays. You will be able to catch a glimpse of the beautiful rice terrace scenery in the morning. Come and feel just how time seems to slow down in this place tucked between the rice terraces and beech forest. -About the stay- You will be chartering the whole house. (Chartering will accommodate up to 10pax) The owner will also be staying at the house during your stay. There are plenty of attractions to enjoy that changes with the seasons. We will be happy to show you! -Where is it?- The closest station is Matsudai Station via the Hokuhoku Line. -Jouetsu Shinkansen/Echigo Yuzawa Sta. =&gt; Hokuhoku Line/Matsudai Sta. (Approx. 40mins) -Matsudai Sta. 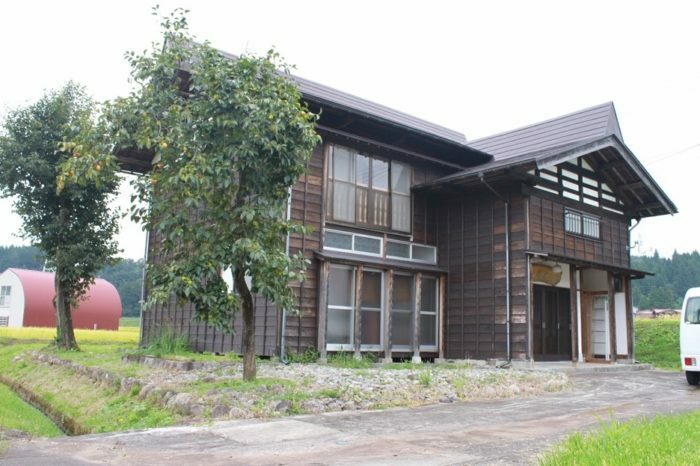 =&gt; Toronoki House (Approx. 10mins by car) The place is directly in front of what the rice terrace fan calls “Kamo Rice Terrace”, along the Hoshi Touge. (mountain pass) Just behind lies Waseda University’s seminar block, and as described is surrounded by nature. 10 minutes drive away from Shiba Touge Onsen Unkai. -The rooms- 3 rooms: 2 rooms on the 2 nd floor, &amp; 1 room on the 1 st foor. Each room has 2 single beds. The hammock room on the 2 nd floor is slightly more spacious with semi double beds. Also, each rooms headboard is equipped with a power port and a USB port for all your charging needs! -Other Amenities- Bathtube Toilets (1 st &amp; 2 nd floor) Wash basins -Climate/Air Conditioning With the beech forest on its west side, and also the high ceiling design, the place is cool even in the summer. The place has a firewood furnace and also heated flooring to keep you warm in the winter. Air conditioning is available in all the rooms on the 2 nd floor and the kitchen on the 1 st floor. Down blankets &amp; gauze blankets are available for all cimates. Nettings are installed on all windows in every room, keeping tenants comfortable throughout all the seasons. -Kitchen- A fridge and basic kitchen utilities, utensils, cutlery and seasoning are available. Gas/charcoal grill and a hot plate for BBQ are also available. The fun is in preparing and enjoying the time together while preparing the meals, so please bring your drinks and ingredients (local produce of course) of choice! (As there are no supermarkets nearby, please procure your ingredients/drinks before arriving at Matsudai) We can also prepare local dishes or arrange catering, so please let us know if you require any in advance! -Meals- Breakfast is included in the price. However, as dinner is not included, please inform us in advance if you would like dinner as well. 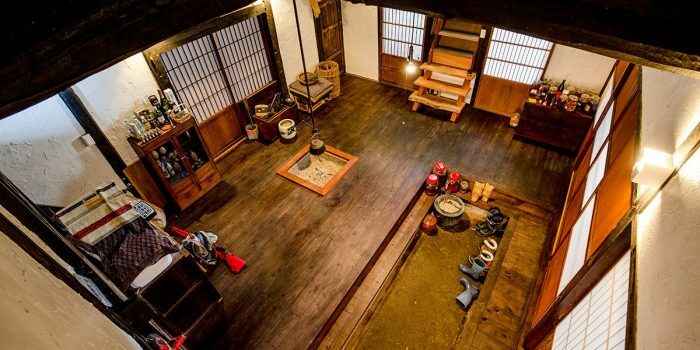 This is traditional Japanese house you can use whole house. Good for big group or family. 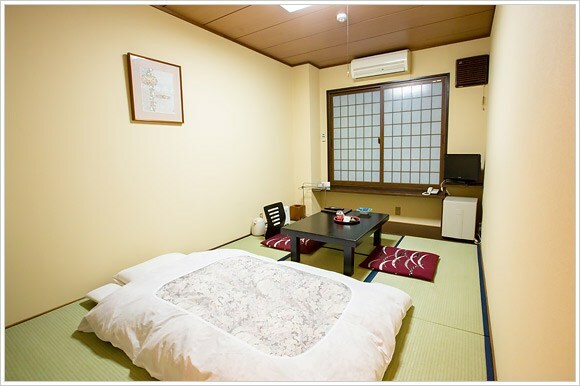 5 mins from nearest station and 20mins from Tokamachi station. Including picking service. 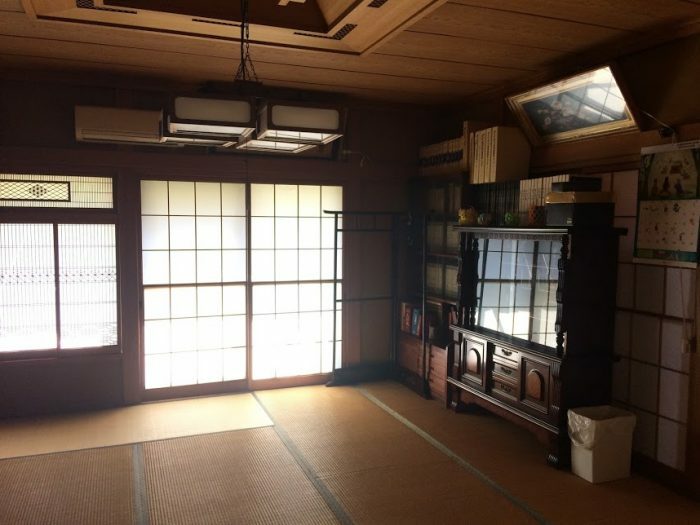 This house is a bit away from the center of Tokamachi city and surrounded by rice field, that is why very quiet and you can hear a national chorus "frog or cricket" at the night. Why don't you stay here and enjoy Japanese life? 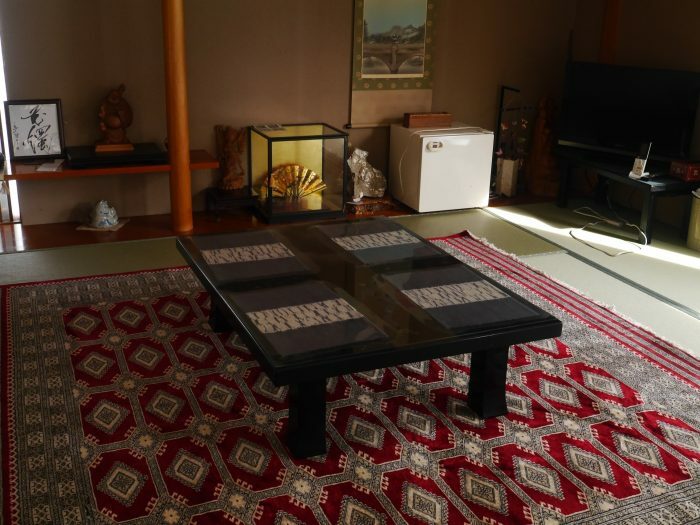 ２ mins Walk from Tokamachi station at Art Triennale "more than 4pp"
This is a Ryokan just 2 mins walk from Tokamachi station. Tokamachi is famous for art Triennale. Around Tokamachi station there are lots of restaurants to enjoy local Japanese food. If you want to enjoy Tokamachi nightlife stay here. You can enjoy private Onsen 24 hours, it is artificial though. Plus you have a bathroom in your room. Free WiFi available. We offer breakfast and Dinner. breakfast 500yen+tax Dinner 1900yen+tax Enjoy Koshihikari rice "the best rice" in Japan Please ask us about a meal in advance. When you come to Tokamachi, stay here. 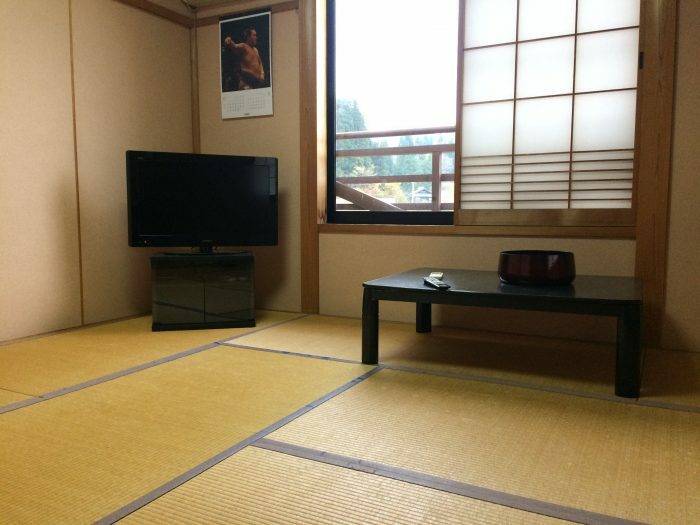 This is a Ryokan just 2 mins walk from Tokamachi station. Tokamachi is famous for art Triennale. Around Tokamachi station there are lots of restaurants to enjoy local Japanese food. If you want to enjoy Tokamachi nightlife stay here. You can enjoy private Onsen 24 hours, it is artificial though. A bathroom is not in your room. Free WiFi available. We offer breakfast and Dinner. breakfast 500yen+tax Dinner 1900yen+tax Enjoy Koshihikari rice "the best rice" in Japan Please ask us about a meal in advance. When you come to Tokamachi, stay here. The house is super in the middle mountains. No convenience store and supermarket around here. We are surrounded by mountains and rice field and enjoy hard but beautiful nature. Spring, Summer, Autume, Winter, every season is so beautiful. The house is recomened for nature lover. 7,000 YEN, if you need dinner and breakfast. We can pick you up at Matsudai station. Please ask us. Thank you. 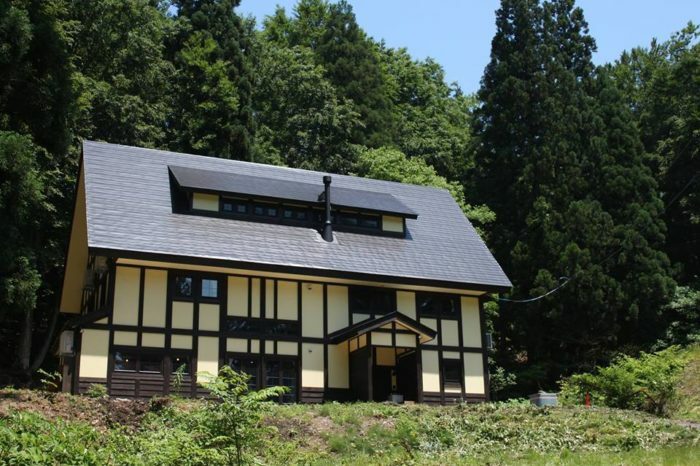 The house is in Tokamachi which is famous for Echigo-Tsumari Art Triennial. This is surrounded by rice fields and you can enjoy the fresh air. Just 5mins walk to get to a convenience store, Soba noodle restaurant called "小嶋屋総本舗", Tokamachi local cuisine restaurant called "じろばた". Just 5mins by car to get the local Sake brewery which you can drink only in Tokamachi. You are able to join brewery tour. Please ask us in advance. Take bus or car to get here and take just 15mins.